Jack Daniels No 27 Gold is a popular Whisky available from DrinkSupermarket.com in 70cl to buy online. 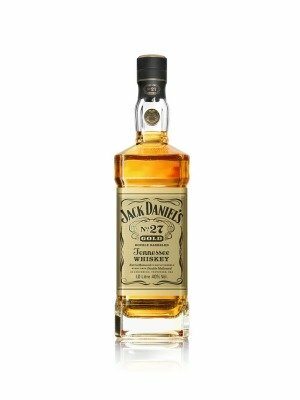 Visit DrinkSupermarket.com for the best price for 70cl of Jack Daniels No 27 Gold or compare prices on our other Whisky products. A new limited edition expression of Jack Daniel's original No. 7 Tennessee Whiskey. Taking the same ingredients and smooth distillation process as the original, the No. 27 Gold undergoes extra ageing in golden maple barrels and double charcoal mellowing to produce a rich, exquisitely refined and distinctively finished Tennessee whiskey. Smooth, with a golden hue and hints of maple and honey. Where to buy Jack Daniels No 27 Gold ? Jack Daniels No 27 Gold Supermarkets & Stockists. You can buy Jack Daniels No 27 Gold online in most retailers and find it in the Whisky aisle in supermarkets but we found the best deals online for Jack Daniels No 27 Gold in DrinkSupermarket.com, Amazon.co.uk, and others. Compare the current price of Jack Daniels No 27 Gold in 70cl size in the table of offers below. Simply click on the button to order Jack Daniels No 27 Gold online now.